The town of Bright – where the Alpine Classic starts and finishes – is the perfect place to spend time with friends and family in the summer. Nestled in the Ovens Valley, with easy access to the ski fields in winter, in summer this place has a magic all of its own! Bright is the perfect place to bring you, a partner, the family, or even all your friends. Whether you want to sample the gourmet food and wine in the restaurants and vineyards, or direct from the farm gate; or maybe try your hand at the ancient art of brewing in one of the local craft breweries, there’s plenty to keep you entertained! If you want to stay active while you’re here there’s a vast array of camping and hiking options particularly in the national parks, plus activities like mountain biking, paragliding, horse riding, and many others. 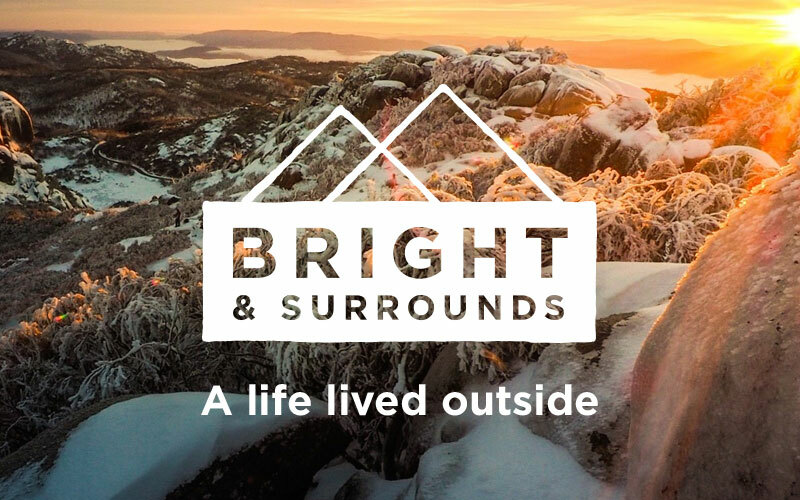 Bright and the surrounding towns have a huge range of great accommodation from backpacker hostels, B&B’s, caravan parks, guesthouses, plus an excellent selection of self contained cottages, units and apartments, motels, hotels and luxurious escapes. Naturally you can ride to and from Bright (and at least one of our volunteers rides from Melbourne every year). However, a novel way is to catch the V/Line train to Wangaratta and then cycle to Bright on the Murray to Mountains Rail Trail. If you haven’t brought a bike with you there are several hire options in Bright. Bright is situated on the Great Alpine Road (B 500) about 75 kms from the Hume Highway (M31) which is the main road connecting Melbourne to Sydney. Bright is just over three hours drive from Melbourne, six hours drive from Sydney, four hours drive from Canberra and under ten hours drive from Adelaide. Bright nearest commercial airport is Albury. Albury Airport is served by Qantas, Virgin and Rex. V/Line Railways run a bus that connects to the train in Wangaratta to and from Melbourne. The bus picks up outside the Alpine Hotel in Anderson St. It travels via Beechworth and can be used for day trips to Beechworth on some days. A limited bus service also goes to Mt Beauty. Bicycles can be carried on the V/Line bus. V/line bookings and information 13 6196. The XPT train also runs from Melbourne and Sydney to Wangaratta. Firefly Express & Greyhound also run services to Wangaratta from Melbourme, Sydney & Canberra. A Bus service also operates from Omeo to Bright and return.